Sta-Rite PD Series Centrifugal Pumps, Medium Head Centrifugal Pumps 1 thru 2.5 HP, 115V/230V, 2" Suction. 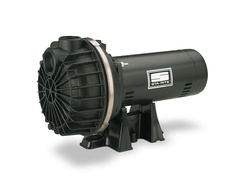 Quick-priming PD pumps feature lightweight construction in a self-priming design. The 1 and 1-1/2 HP models offer a new, stronger pump body with reinforcement ribs and also a new 2" suction.